Training for leadership involves more than academic pursuits - it involves a culmination of experiences that cause a student to stretch himself to grow. 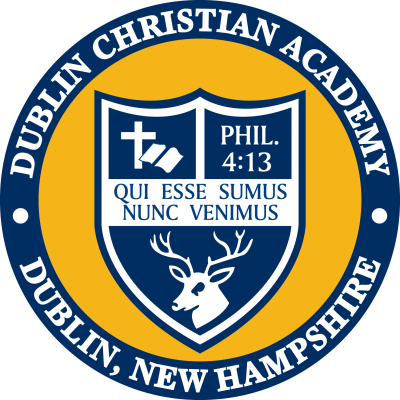 Dublin Christian Academy affords students many of the experiences necessary to nurture their leadership capabilities. Student Council members and class officers test their abilities with the responsibilities of regular meetings, fund-raisers, banquets, Winter Break activities, socials, and much more. Gro Groups (led by staff) give students an outlet to share what they have been learning and the chance to help mentor and encourage each other. Students' shoulders bear the responsibilities for the details of activities throughout the year, guided by helpful faculty advisors. Students also bear responsibility for helping the Academy run efficiently by taking on a campus job - pitching in like family members to help get everything done. Opportunities for leadership in the dormitories rounds out this aspect of the experience. As a Christian organization, we want our students to reflect a Christian testimony by dressing in a way that is consistent with the Biblical principles of modesty and courtesy (I Timothy 2:9). As an educational institution, we want to promote an appearance that reflects high standards of academic performance and the importance of education. We do, however, recognize that different types of clothing are appropriate based on the occasion or activity. suppliers. Upper School dress must be purchased through LE and FT except where otherwise noted.